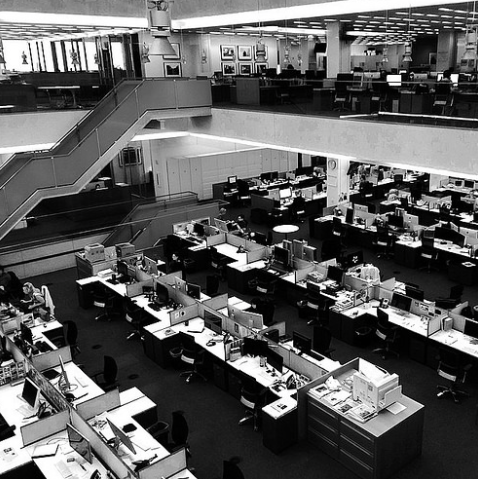 Research sets out six simple steps newsrooms can take to better serve democracy in the new media ecosystem. But we live in volatile times, and developments in media and media use are changing the game. A new research paper by Anders Hofseth sets out a number of key simple actions that can be taken in the name of democracy. Make Yourself Useful: Six simple things your newsroom can do for democracy targets newsrooms; journalists, editors and management. Hofseth is a strategic adviser working at the Norwegian Broadcasting Corporation’s NRKbeta future lab and think tank. His research is based on interviews with 18 leading figures in media and academia. It attempts to establish how the media can keep fulfilling their democratic role in this changing landscape. “The new public sphere might have fewer shortcomings than traditional media,” Hofseth said. “My research focus is on practices that can be applied within most larger newsrooms without major changes, giving closer advice on topics such as: properly understanding social media, fact checking and overview, and common mistakes that should be avoided. A lot of the suggestions are fairly simple – some things bordering on the self-evident. Still, they often aren’t done. Hopefully, the advice given here can contribute to changing that,” Hofseth added. Interviewees include Emily Bell, Director of the Tow Center for Digital Journalism, Columbia J School, Tin Radovani, Strategist, BBC News Group, Wolfgang Blau, Chief Digital Officer, Condé Nast International, Andrew Sparrow, Political correspondent, The Guardian, Janine Gibson, Editor-In-Chief, BuzzFeed UK and Alan Rusbridger, former Editor-In-Chief, The Guardian. Make yourself useful: six simple things your newsroom can do for democracy was researched and written when Anders Hofseth was the inaugural Google Digital News Initiative Journalist Fellow at the Reuters Institute for the Study of Journalism (RISJ), 2015-2016. Hannah is marketing and communications officer at the Reuters Institute for the study of Journalism. She has worked across British regional and national press including as a digital editor at The Telegraph. Her writing had been published in the Independent, The Telegraph and various arts and lifestyle blogs including the Vagenda and IdeasMag. Hannah started her career as a trainee news journalist at the Sussex Newspaper series (Johnston Press) before moving to the Echo series in Essex (Newsquest) where she worked as senior arts feature writer.